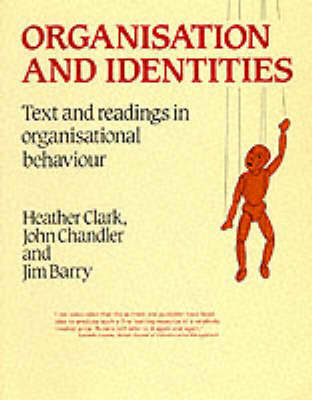 This book provides a comprehensive and critical introduction to organizational behaviour. It analyses key issues, themes and theories and gives readers direct access to essential readings and articles in the area. Organisation and Identities draws on a wide variety of disciplines to develop a fuller understanding of the complexities and contradictions of organizational life. Seminal readings and lesser known contributions from writers as diverse as Weber, Taylor, E.P. Thompson, R. Moss Kanter, Freud and Janis explore the relationship between the social and individual identities which shape, and are shaped by, organizations. Editorial commentaries outline the theoretical background and context of the readings in each section and discuss their continuing relevance to the study of organizational behaviour.